January has returned and all of the good remnants of Christmas have long past. While mid-January is normally the breeding ground of the blues and broken resolutions and promises, one century old tradition remains – The Vaughan Bequest in the National Gallery. 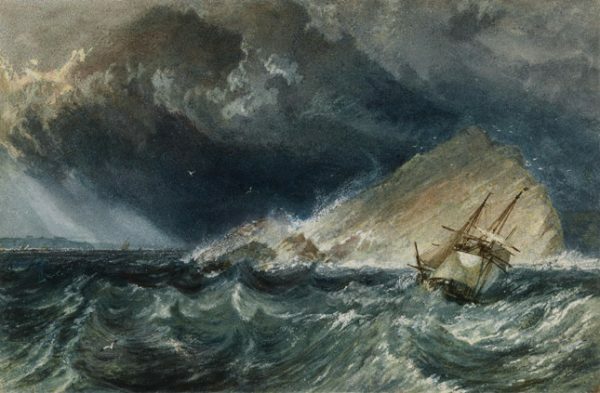 Comprising of 31 Turner watercolours donated by Henry Vaughan in 1899, the works are only displayed once a year as per the stipulation of the initial donation. Vaughan even had a special wardrobe shaped cabinet made for the works in order for them to be as well protected as possible. The forward thinking Vaughan had anticipated that constant viewing in Victorian galleries may diminish the power of Turner’s work so he chose January as it was the greyest of months. This quirk has been enjoyed by Irish art lovers for over 100 years. Displayed at the end of the Master’s Collection the sense of drama is heightened by the dimly light display lights in the room. The works on show serves two main functions, the first to show the immense skill and importance of Turner as he elevated the practice of watercolour to the same level as the more prominent Victorian painting style of oils. The second is to show the evolution of Turner from early commissions and topographical studies to the freeform style that laid the framework for later impressionists such as Claude Monet. The 31 works on display cover vast sections of Turner’s career with the 1830’s and 1840’s featuring prominently, especially his trips around Europe where he feverishly filled countless notebooks to garner future commissions. On display for a further two weekends, and due to the ongoing renovations in the National Gallery, in their original Victorian frames.